We have been the sewage disposal experts in the Beaufort area since 1965. Sewage isn’t something most people think about on a regular basis. In fact, you probably won’t until you have a problem or a unique need. 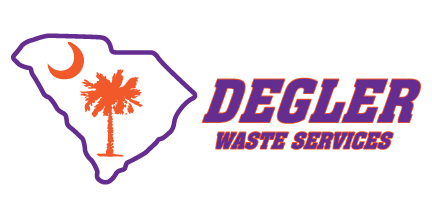 While most people in the Beaufort, South Carolina area know that when the call us here at Degler Waste Services, they can get their septic tank inspected, pumped out, and cleaned, few realize the added sewage services we also provide. Since 1965, we have been a reliable source for portable toilets, and we even operate a full-service sewage treatment plant that can handle all types of sewage. We also clean out storm drains. Portable toilets are the ideal solution for temporary waste management needs. If you need bathroom facilities at a construction site, special event, or public gathering, renting our portable toilets works out well. Just call us to let us know the date, location of delivery, number of portable toilets needed, and when they should be picked back up. We’ll take care of emptying out all the sewage afterward. If you have a long event, we can also provide additional pumping and cleaning of the portable toilets as they become filled. If you have a sewage question related to storm drains, portable toilets, or our sewage treatment plant, don’t hesitate to contact us. We are incredibly efficient and capable of processing several types of waste, so you don’t have to think about how to manage such a messy job.